Occasionally, when time allows, I enjoy tracking back on certain incoming links. Most of my incoming links are simply from other blog posts, where people find the graphs interesting enough to supplement whatever point they are trying to make. Where it is more fun, though, is when I find a link to my charts embedded into a forum or comments responding to another blog or article, and people from both sides of the Global Warming argument are found. I find it both amazing and humorous what tactic people will use. One common thing that occurs is that someone will link to a post of mine that demonstrates the cooling trends, and then someone will respond by pointing out that another one of my charts shows warming. That makes me feel somewhat unbiased, so I think it’s generally a good thing when the same post can be used to support two opposing arguments. It also means that life isn’t quite as clear-cut as we’d all like to make it, and perhaps everyone needs to take a breath and think about how dogmatic they really want to be on this issue. Thunderpig has his own blog here and has linked to me before. He’s a colorful one, to be sure, and I thank him for thinking enough of my work to link to it occasionally. You linked to something actually called Digital Diatribes of a Random Idiot? Now there’s some truth in advertising. Sam often links to such diatribes from such idiots, but at least they have the sense not to tell it like it is. I visited the Watt site and saw a discussion of a propane torch left in a temperature station, full of sniggering implications that scientists were faking results, with no actual research as to why it was there. I saw a slightly more relevant discussion of placement of stations, commonly known as the urban island effect, where warming brought on by land use and pavement causes local (but not global) warming. But a real study of that would look not at a single station (which actually appeared to be in a rural area, not an urban one) but at a pattern of placement, which I saw nowhere. On the lauded Random Idiot site, I saw three posts with short term data which were in a tizzy about how cold it is currently, as in, over the last year or so, compared to the previous five or ten, when the downward wiggle in the last year was well within the range of variation shown over the five or ten. There’s also a cryptic graph that seems to be the trend of slopes of short-term linear regressions, or something, all of which would have ridiculously small R² and no meaning. The evidence for global warming shows a clear trend of a century or more, full of much smaller wiggles back and forth. The fact that there may have been a cooler side to one of those wiggles in the last year or two has no bearing on the longer trend, and people who would try to make such arguments reveal either their own agenda or their weak understanding of statistics rather than any shocking truth. This is kind of amusing to me. Believe me, I actually do understand the reaction. People like official sounding sites that lends credibility to the numbers. I suppose I could have declared myself to be “Global Temperature Statistical Analysis Experts” or something. But alas, I chose a self-deprecating title for my blog precisely because I choose not to take myself too seriously, and because I just thought it was funny. Believe me, if I were arguing science, I’d probably be loathe to direct my readers to something with my blog title to further my position. You see, when I started blogging, I wasn’t planning on taking this course with it. I like to write. Some people even think I’m funny. If you’d go back into the archives and read through my first few months you’d probably wonder if it’s the same guy. Over the last year, I found myself more and more drawn to this whole global warming argument, and so I decided to interject my thoughts on the data. After all, I’m an actuary, so I should be able to whip up some trends and charts and stuff. I didn’t intend for it to be a big deal. Well, it soon became a challenge to put a better analysis together, and as I did so I kept my readers updated. As I did this, I received more and more hits and people linking to the blog, and I felt compelled to keep refining things and updating the information. It has now become 90% or more of what this blog is about. Had I known I was going to do this, I probably wouldn’t have chosen to name my blog what I have named it. I’d keep it a little more in the “data guy crunches numbers and is really boring” theme. So, it is what it is. Now, to the point of me actually being an idiot and admitting it and all that stuff… guilty. Aren’t we all? Kind of? Um, no? OK… but nevertheless, I am near certain that the responder who posted that simply did two things: (1) immediately dismissed the data due to the name of the blog, and (2) immediately thought I was making a case for one thing or another because I posted some short-term cooling charts. In fact, name aside, all I am doing is presenting data in different formats. I’m pretty straight about what I’m showing, and open to other presentations. I may make some personal conclusions about what is happening, and I admit to being skeptical about the incredibly high projected anomalies by IPCC and others. But I also admit that I don’t know what’s in store. Also, the model I have developed that projects future anomalies has absolutely no bias introduced into it. I am very open about the approach to anyone who asks. I would present it if it showed warming. It does not. So, is there a challenge to the data here? No. Is there really a cause to dismiss the work? No. Are we hung up on the name? Yes. That’s the cross I bear, of my own doing. That’s fine. I’ll let Watts defend himself. Let’s move to the comments about me. It’s all about me, baby! On the lauded Random Idiot site, I saw three posts with short term data which were in a tizzy about how cold it is currently, as in, over the last year or so, compared to the previous five or ten, when the downward wiggle in the last year was well within the range of variation shown over the five or ten. Readers here will also know that I am careful to paint consecutive streaks, current averages, etc. in historical context. I have in the past clearly pointed out that a run of 12 consecutive cooler anomalies has happened before, even in recent periods of warming. I can’t be sure what the “wiggle” exactly means, though I’m sure it’s a technical term that I simply missed in my years of mathematics. There’s also a cryptic graph that seems to be the trend of slopes of short-term linear regressions, or something, all of which would have ridiculously small R² and no meaning. As for the R-squared, he’s both correct and incorrect. First of all, linear trend analysis, by everyone’s admission, is not the perfect way to measure temperature trends. But it’s the most understandable. It is precisely for the reason that it is not the best measure why I also analyze the rate of change of the slopes. I cannot help the fact that r-squared isn’t super-high at all times. But they are not “all” ridiculously low, either. In fact, the peak slope of 60-month trend that is presented in that very post has an r-squared of over 0.6. That’s not bad. Also, the entire purpose of the best fit is just that. Low r-squared or not, it’s still the “best” that we have (on a linear basis). Finally, one aspect of using data is to find ways to smooth the data so that you can find a trend with a higher r-squared value. By observing the trend of the slopes, I produced a “cryptic” chart with an r-squared value of 0.7948. The evidence for global warming shows a clear trend of a century or more, full of much smaller wiggles back and forth. The fact that there may have been a cooler side to one of those wiggles in the last year or two has no bearing on the longer trend, and people who would try to make such arguments reveal either their own agenda or their weak understanding of statistics rather than any shocking truth. What is so funny about this statement to me is that I agree 100%! (Well, other than the “shocking truth” part.) In fact, the very reason that I show the long-term trend on every post is to present all of this in historical perspective. I find it somewhat funny that he can find the long-term chart that shows warming on my post, and still think I’m just messing with statistics. If you would observe my posts from the surface measurement data, and see the trends since 1850 or 1880, you will see a definite long-term warming. The shorter temperature cycles rise above and fall below that trend line. 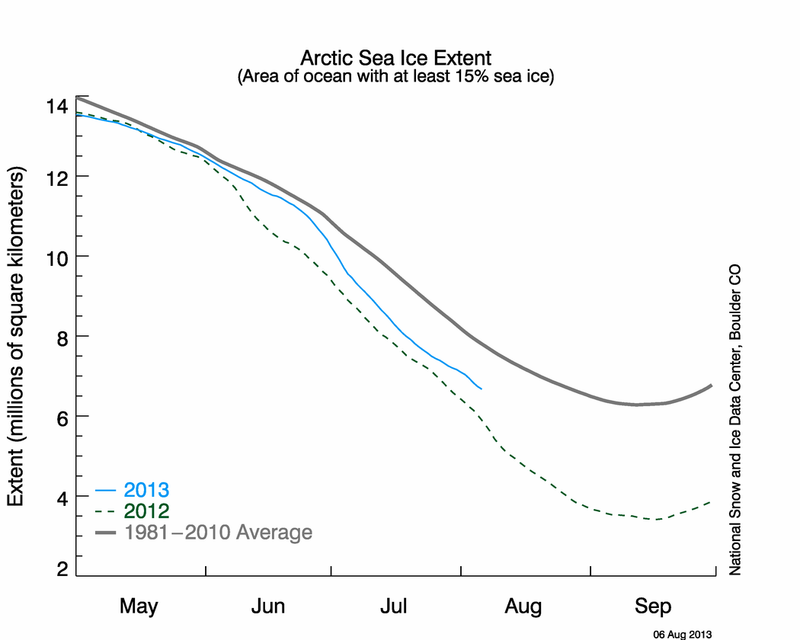 The long term trend is pretty clearly in the area of 0.5 to 0.6 degrees Celsius per Century. I have contended that, strictly from an observational point of view, it makes sense to think that the current rise above the trend line will be superseded by a fall below the trend line. In other words, I can use his argument against him, but even on a longer term basis. The last 20-30 year “wiggle” is not unique in the historical observations, and within expected variability. It is foolish to believe it will continue unabated. We can most certainly expect it to come down to and below the trend line. His argument assumes that people like me dispute warming altogether. I’m a stats guy. I produce the charts. I do not dismiss that we have warmed a bit. Where I take issue is the credibility assigned to the most recent cycle of warmth, and whether or not it can be assigned to human causes. But whatever opinion I may have on that matter, it’s not as if my belief one way or the other changes my presentation of the data. I can engage in conjecture about the future with the best of them, but the numbers are the numbers. You see, as an actuary, I can’t engage in preconceived notions. Sometimes I expect one result but the numbers show another. My job, then, is to figure out what the real story is, and not try to massage the numbers to fit my preconceived notion. In looking at the temperature data, I see long-term warming and short-term cooling. I’m sorry if that offends people. I’m sorry if they don’t like the credibility of the r-squared number or the length of the period in question, or a discussion of the facts. I’m sorry if you don’t like the name of the blog. I’m sorry if you don’t like the projections of the model I developed. All that is fine. But at least read and understand the information, please, if you are going to try and comment on it – intelligently or otherwise. This entry was posted on September 15, 2008 at 5:48 pm	and is filed under Blogging, Climate Change, Global Warming, Opinion, Politics. You can follow any responses to this entry through the RSS 2.0 feed. You can leave a response, or trackback from your own site. I enjoy reading your charts and appreciate the hard work you do making them. I also should know better than to argue with some people…but cannot help myself, and try my myopic best to at least provide citations to back up my arguments. You should consider it an honor that the very first course of action is to try to discredit you with something that has no bearing on the matter at hand. As to whether we are in for a significant cooling trend, only time will tell, but I do believe we are in for one…and I look forward seeing it reflected in your numbers…or be in for one heckuva plate of crow! I apologize for any undue stress I may have caused you…and I hope it was balanced out with mirth at the consternation these people express when someone has the nerve to disagree with them. On my own blog, I always try to treat contrarians (with the exception of rabid Ron Paul Supporters) with respect and try to engage them and not insult them or their sources. It is the highlight of my day when you roll out more charts for me to examine. Thanks for your kind comments. As for causing me undue stress, fear not… I frequent another board and mix it up quite a bit on not only global warming issues, but other political and religious issues as well. I actually enjoy a certain amount of disagreement and back and forth, and I enjoy seeing the comments regarding my blog posts, even from those who disagree with some aspect of it. It enables me to take a fair look at things and make sure I’m trying to separate my personal bias from the results of the data. I, as well, have become convinced that we will see continued cooling, and this is based on everything from the quiet sun, to long-term trends, to recent cooling, to the PDO and AMO shifts, to the results of my individual model’s projections. But only time will tell. The problem with “time will tell” is that we have a very limited history to look at, so I doubt that this generation will have solid evidence that supports global warming. What I fear is that the governments are now the move to set-up a carbon tax on a global scale ( see carbontax.org ). This is now nothing but a political fear tool to get the masses inline with proposed agendas now, and that is the most serious sign that it is a fraud. Who get’s the tax revenue on a global tax? A Global Government. Thank you very much for your efforts and charts. I come to your site for trusted data and its presentation. I must admit that I do not trust the data from NOAA, NASA or any of their agencies as their AGW bias and disregard for data by hidden manipulation of same is deplorable. Your site is probably the most balanced in terms of presented data. Keep up the good work.